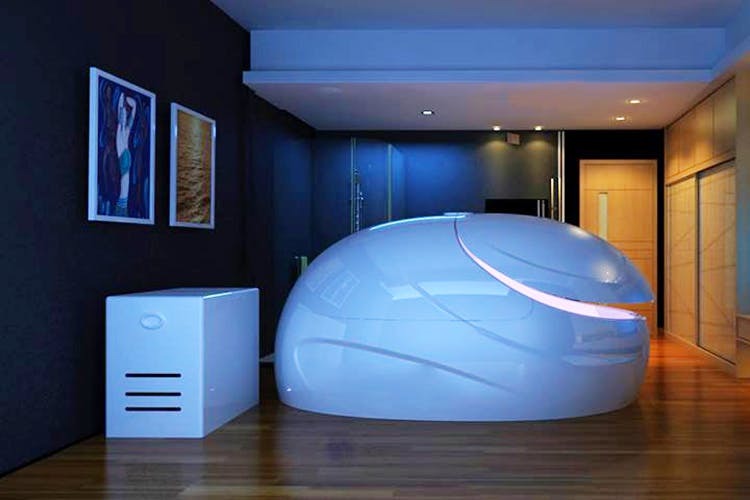 Chennai Floats is the first floatation tank centre in Chennai that lets you switch off from the rest of the world in a pod. Let that sink in. If you’ve always wanted to just get away from the deafening noise and stress of city life and just drift away into a blissful sort of quietude, Chennai Floats just might be what you’re looking for. Step into the futuristic looking pod, filled with 600 litres of water and 500 kilos of Epsom salt (said to reduce soreness and aches and detox the skin) and be transported to another dimension. We imagine the feeling might similar to floating in space where you’d feel almost weightless. (You don’t need swimming lessons for this one, guys, anyone can get in). The benefits of this floatation tank are said to have a calming effect on the mind for people who are especially stressed; the buoyancy even soothes tired bodies that undergo rigorous fitness training. The salts may even work on improving your skin health. All you have to do once you get here is to take a shower and get into the pod, switch off the chamber light (if you want) and pick a comfy position. The session starts with some soft music for ten minutes and ends with it as well for about five minutes just to let you know that your session is ending. You could choose a duration of about 60 or 90 minutes (which costs about INR 2,995 and INR 3,995). It’s one pod per person and the water is warm and clean so you don’t have to worry about catching a cold. You don’t have anything on while you’re floating so as to get the best out of the experience but if you’re uncomfortable you can always wear a swimsuit. Just make sure you don’t shave or wax, drink alcohol or smoke before a session. If you work out before a session (yoga, high cardio) it actually enhances your float experience. So hit the gym maybe? Worried if you’d get claustrophobic? They say you may feel a bit dizzy (just initially) on your first float but you can always open the door or leave the light on in case you feel so. Fresh air is circulated in the chamber and you can always take a break if you’re feeling out of your comfort zone, so don’t fret! There's a buy one get one free offer going on right now where you pay INR 3,995 and avail 290-minute session.